Certain children are reluctant to learn whether in a classroom environment or at home. For a variety of reasons they lack motivation or interest to carry out their schoolwork. Understanding the reasons behind their reluctance can help teachers and parents work to overcome these barriers and create a more fulfilling educational experience for the student. One type of child who may appear to be a reluctant learner is the “risk-averse” student. This means the child chooses not to participate in order to avoid the risk of the embarrassment, shame, or consequence of incorrectness. In their mind a lack of effort is preferable to a failed effort. It may be that the student is struggling with the information or they are just not confident in their knowledge. In either scenario it is in the hands of the teacher or parent to teach the child that it is okay to be wrong. Explain that making mistakes is a necessary part of learning, and what truly counts is trying your best. If this idea is consistently reinforced in both the classroom and at home, the child will begin to grow as a learner. The next type of child who is a reluctant learner is the “why does this matter” student. This child feels that time spent in the classroom or completing homework is time wasted. Simply, this child does not recognize the value of their education. In this case, the student must be indirectly taught about its importance. One method is to incorporate topics into lesson plans that relate personally to the student and their interests. Similarly, relating the lessons to real life scenarios will create a connection that allows the material to become meaningful for the student. This association ties education to the real world, and may be the best approach to help the student recognize its value. 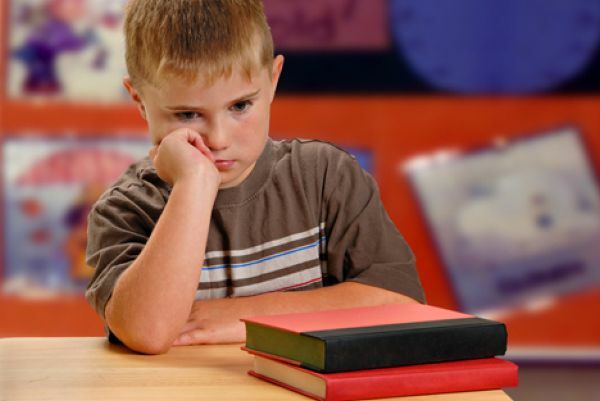 Another student who may express reluctance is the “bored” student. There are two potential reasons for this boredom. One may be that the material is not advanced enough for the individual. In this case the teacher may need to provide supplemental work to match this student’s ability level. The other possibility is that the student views school as repetitious and bland. In this situation it is the responsibility of teachers and parents to cut out any monotony and keep material engaging, interesting, and creative. This may include having students work with partners or groups. Furthermore allowing creative freedom may be beneficial. For instance, providing a variety of options for projects allows students to choose based on their individual interests. If your child’s struggle in school is causing distress, or if you believe their reluctance to learn is a result of other underlying issues it may be beneficial to contact a mental health professional. If you are in Bergen County, New Jersey feel free to call 201-368-3700 to make an appointment with one of our own licensed therapists, counselors, psychologists or psychiatrists.